Those little buses that scoot around the area, linking the villages and dropping off people by their doors, – where do they go? 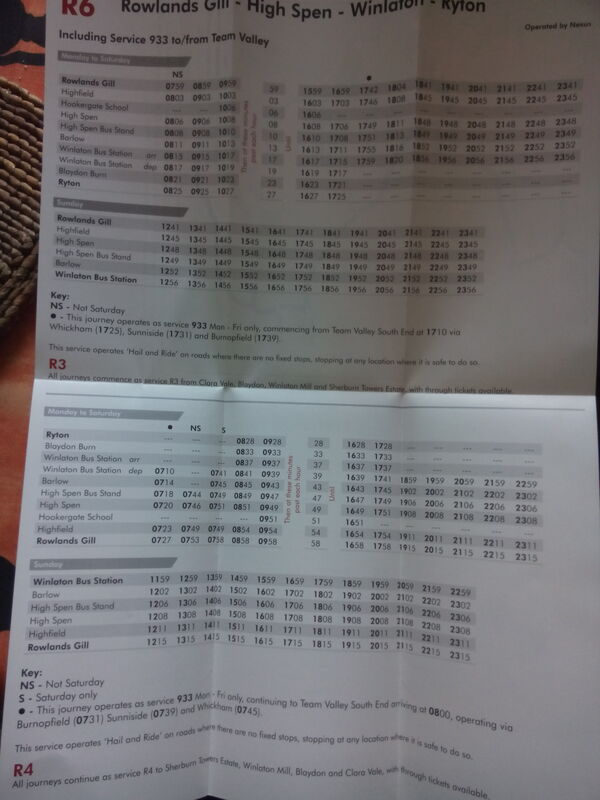 We’ve got hold of some timetables and route maps. They’re in Rowlands Gill Library, in the lobby of the Paddock/VIP teas in High Spen and being distributed around Winlaton by a local councillor. 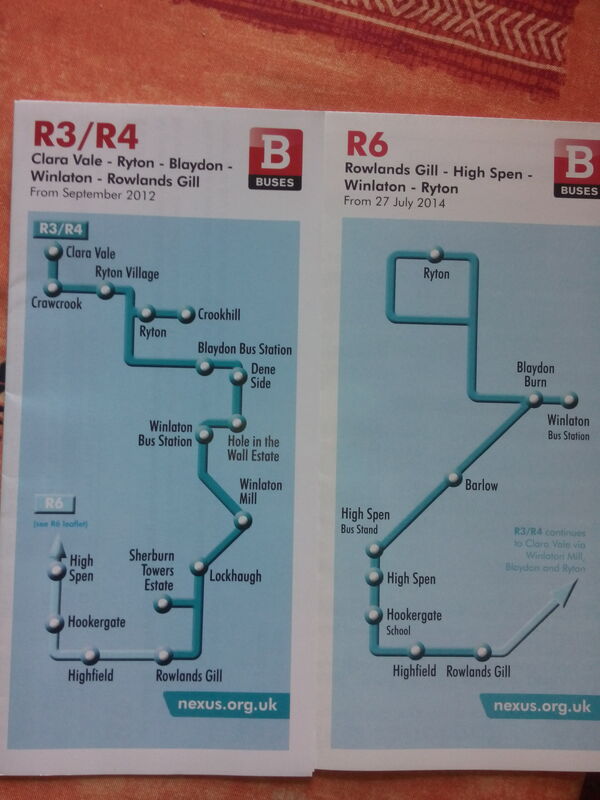 And when you catch the buses, you can now use any day zone ticket that applies (e.g. purple or green) and other Go-ahead passes. This is thanks to Mick Marston from TWiG who met with Nexus and started this whole bus rolling. 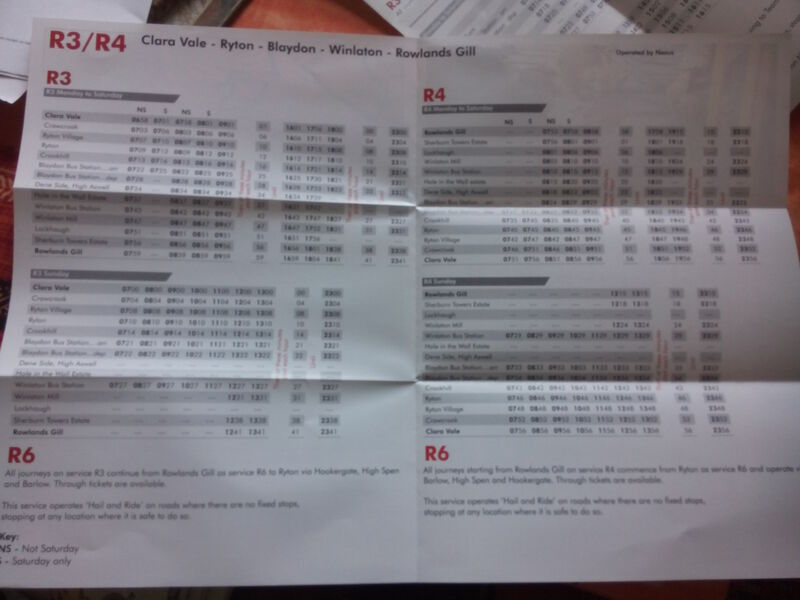 Previous Post Result on R buses!